Some of my latest high quality tools and one is the Victorinox Hunter XT and it is a very good hunting knife and a very good rescue knife as well. 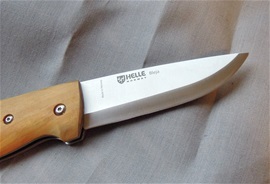 On the picture is also the latest Helle knife called the Bleja and it is a blade with serious cutting abilities. It got a strong construction and a design on the handle that is very secure. It looks good too, both knives do. The blade on the Bleja is triple laminated stainless steel. The edge can get beyond what is called sharp. It is pretty much completely crazy sharp. The Hunter XT and functions you can find some info on in my pages. It is superb and i got this so i can be up to date on the evolution that i am so interested in. The Bleja is not the typical rescue blade because it does not have One Hand Opening. That said if anything comes in contact with that edge it will be cut without any problems. Today we have big advantages with a mobile phone that is pretty much a very good computer in the hand everywhere you go. It is possible to use an incredible number of Apps for several types of tasks. The cell-phone is a not a tool that can be trusted to be 100% everywhere. It is better than nothing and you can in an emergency use it to contact people. It can be used to take pictures, videos and for finding directions if you are lost. The possibility for a weather forecast can be very helpful on the water. If you have experienced fog then you know how fast it can develop around you. The weather is changing and becomes a bit more unstable and difficult to predict. It is a part we just have to live with and adapt for. The mobile phone is a very good safety tool for important news. You can get emergency chargers for the battery and develop your phone for personal needs or tasks. 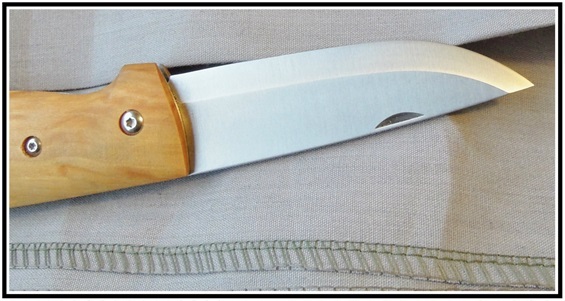 The Bleja is not the typical safety knife because it does not have one hand opening or serrations. 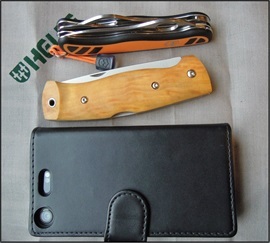 It is an all-use EDC blade with high-end abilities. 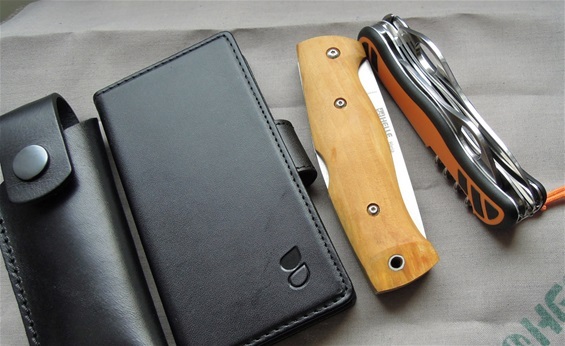 If you do not want Swiss Army Knife solutions or OH blades then locking EDC folders will increase the safety. The main purpose for safety is the edge and its ability to cut tough materials in a hurry. If you take the tour on sakhome you will discover that I have touched every aspect on OH, locks and serrations. Today it is available a huge number of products from all over the world with high quality blades.